With the Rambo collection arriving on 4K Ultra HD, blu-ray and digital, we spoke to the man who created the iconic character. You wrote First Blood in 1972 while the Vietnam war was still raging. Was the character of Rambo inspired by the young men you saw coming back from the conflict? 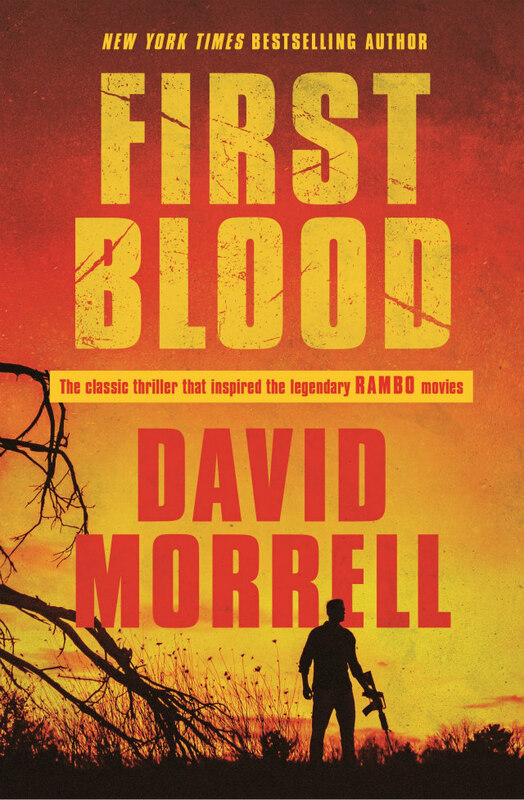 When I wrote First Blood, I was a graduate student at Penn State, where I taught writing to military veterans who’d just returned from Vietnam. We had many discussions about their war experiences and their difficulty adjusting to civilian life. They described having nightmares, flashbacks, sweats, headaches, feelings of isolation etc., symptoms that are associated with what we now call post-trauma stress disorder. What those veterans told me had a lot to do with how I depicted Rambo. Another influence was Audie Murphy, America’s most decorated soldier of WWII. The description of what he did to merit receiving the Medal of Honor goes far beyond Rambo’s fictional exploits. Murphy had the same troubles in adjusting to peacetime as the Vietnam veterans I taught. The movie rights were sold immediately but the film didn't emerge until a decade later. What was behind the delay? Was it a subject Hollywood was wary of broaching? After I sold First Blood’s film rights to Columbia Pictures, Richard Brooks (whose work I admire) was scheduled to write and direct. Columbia then sold the project to Warner Bros (I’m not sure why), where Steve McQueen was signed to play Rambo with Sydney Pollack directing. But Steve was in his mid-forties in 1975, and there weren’t any 45-year-old Vietnam veterans at the time, so the project was cancelled. Eventually it went through four studios and 26 scripts. In one script, the police chief was emphasised, with Rambo having a secondary role, showing his survival skills by looting vending machines in a commercial cave. That gives you an idea why some of those versions weren’t made. Finally Carolco Pictures wanted to work with Ted Kotcheff and asked him what he’d like to work on. Ted said he’d like to go back to First Blood, with which he’d been associated at Warner Bros. Sly was then brought on board. How well do you think director Ted Kotcheff did in translating your story to the screen? There were several changes from my novel. In the film, the police chief has a lesser role. The locale is changed from Kentucky to the Pacific Northwest. But the big change was the ending, which is quite different than in the film. Also my version of Rambo depicts him as being furious about what war taught him about himself, whereas the film makes him a victim. Despite these differences, I think the film is excellent. The direction, music, cinematography etc are exemplary. Sly gives a brilliant performance with little dialogue, mostly using his eyes. On the new home video version, I have an audio commentary that talks about the backgrounds to the novel and the film. 'Rambo' is one of the all-time great character names. What inspired the name? I was looking for the sound of force and not having much luck. Then my wife bought some apples from a roadside stand in central Pennsylvania (I was going to graduate school at Penn State). We had a single bedroom that my wife and I shared with our infant daughter. It also had a desk crammed into a corner. I remember it was a Saturday afternoon. I was writing sentences with the name of the character left blank. My wife came in and offered me one of the apples she’d bought. I told her I didn’t have time to eat, but she insisted, so I bit into the apple (a mythic action). It tasted good, so I asked her what it was called, and she said, “Rambo.” That’s a popular apple in central Pennsylvania. I felt like I’d been hit with electricity. Rambo. The sound of force. John Rambo is a somewhat politically ambiguous figure, one you could argue represents the values of both the left and the right. Do you think this is why the character had such wide appeal? There are a number of Rambos. As I mentioned, the character in my novel is bitter. In the novel, he’s morose: a victim. In the second and third movies, he’s jingoistic, almost a recruiting poster for the military. In the fourth film, he’s bitter, as in my novel. In fact, Sly phoned me while making the fourth film and said that he thought the second and third films glorified violence and that he was going to make my character bitter as in the novel and make the action harsh as in a Sam Peckinpah film. Plenty of Rambos. You wrote the novelisations for both Rambo: First Blood Part II and Rambo III. Did it feel strange working from other writers' screenplays to tell stories involving the character you created? My contract stipulates that I’m the only person who can write novels about Rambo. When Carolco Pictures came to me about writing a novelisation (that type of book was popular in the 1980s before home video was readily available), I was reluctant at the start. The script was short, with stage directions such as “Rambo shoots the first guy, and then Rambo shoots the second guy.” I think the finished film is a lot of fun, but the script didn’t give me much to work with. Then I started thinking about what Rambo would feel like going back to the prison camp from which he’d escaped, emotions that the film doesn’t deal with. Then other emotional elements started interesting me, and when I was shown James Cameron’s unused script, with its brooding first scene in the basement of a military hospital, I realised I could write a novelisation that would be based on the film but that would go in all sorts of unexpected directions. One third of it is the shooting script. One third of it comes from Cameron (who gets credit). And one third comes from me. It broke the rules for writing a novelisation. I was equally expansive with my novelisation for the third film, exploring the idea that Afghanistan was Russia’s version of Vietnam. I created a disillusioned character who resembled Rambo but was on the Russian side. If anyone’s curious, Gauntlet Press published signed, numbered, collector’s hardbacks of the novelisations, with essential extras. 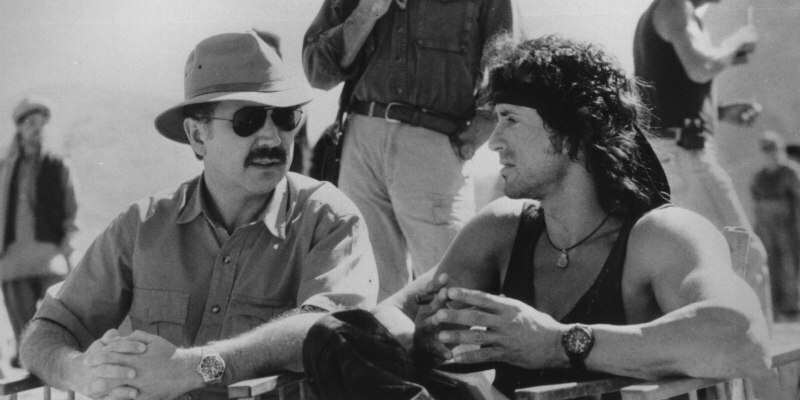 A fifth Rambo film is apparently in development. Do you think the character is still as relevant today as when you first created him? Rambo V is definitely in production. Unfortunately, the film company hasn’t told me anything about it. Sometimes the creator of a character is the last to know. But early publicity photos show Sly in a cowboy hat and on a horse. I love Westerns and imagined First Blood as one when I was writing it: a weary gunfighter wants to hang up his guns but the local law won’t let him. So if there are elements of a Western in the new film, I’m all for it. The Rambo Trilogy is available ON 4K ULTRA HD, BLU-RAY AND DIGITAL DOWNLOAD from 12th November 2018.